With Jen ready to leave for Salt Lake City tomorrow, I made a last valiant effort to clean out the fridge and freezer for her departure. 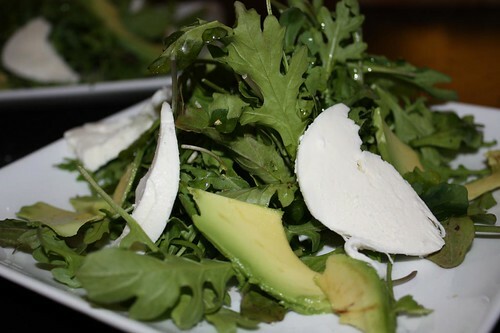 I started with what was originally a simple arugula salad with lemon and olive oil. Jen rummaged through the fridge and suggested I add the mozzarella and avocado because she didn't like the idea of me eating them while she was in Utah. Since she has to go to Utah I figured I'd humor her and follow her advice. 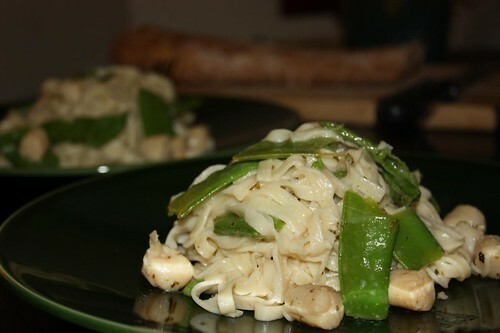 For the main course I used some frozen Severino linguine along with scallops in a light scampi sauce with some of the snow peas from the farm. I also added in some additional sauvignon blanc that we've been sitting on for a couple of weeks. Then we enjoyed the Tour de France stage of the day which was loaded with images of Jonathan Vaughters. I'm not really sold on Jonathan Vaughters's new look. It's as if Dr. Mindbender assembled a squadron of Cobra agents to scour tombs across the world to collect DNA to construct him. Unfortunately G.I. Joe foiled them at a number of spots so that they were only able to collect DNA from the tombs of Louis Skolnick and Captain James T. Kirk. 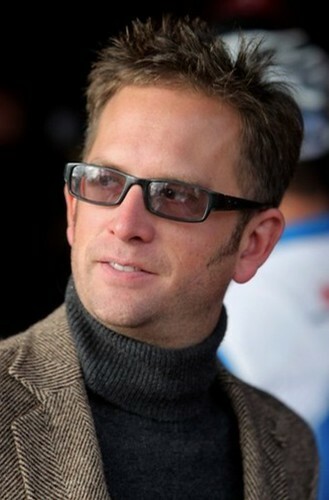 Vaughters, you look a little like a tool shed. This I command!